Living in one of our Winter Park Apartments, you’ll be living in a community with covered parking and a car wash/vacuum area to help protect and clean your vehicle. We also have a fitness gym, dry sauna, full-size tennis court, and an Olympic pool with a spacious sundeck and lounge seating. The picnic areas are nestled into our landscaped grounds and make the perfect place to enjoy a weekend barbecue. As a resident you’ll be treated like royalty. Sunday coffee and doughnuts, twenty-four-hour emergency maintenance, fax and copier services, and package receiving are all available from a professional and friendly staff that is on site day and night to keep you happy. Click on our Amenities page, and see what else you’re going to enjoy while living in these Winter Park, FL Apartments. This fantastic community features the studio, one-, two-, or three-bedroom home of your dreams. Every unit, no matter the layout, has ceramic tile and carpet flooring, a self-cleaning oven, a dishwasher, a frost-free refrigerator, air conditioning, and a screened porch or private patio balcony. Check out the Floor Plans page, where you can see which select floor plans come with fireplaces, ceiling fans, breakfast bars, walk-in closets, atrium entries, and cathedral ceilings. See high-quality images of all of these features on the Photos page. On the Neighborhood page, you'll get a closer look at our convenient location. We're located on Aloma Avenue in a neighborhood that's just a few minutes from Park Avenue in downtown. Within a few blocks, you'll have access to various supermarkets, including Publix and Whole Foods. Rollins College and Full Sail University are only two miles away. In addition to the schools and great shopping, you'll be near delicious dining, exciting nightlife, eclectic boutiques, and an array of outdoor events and festivals. 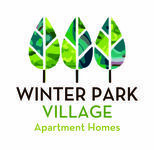 Winter Park Village has beautiful Apartments in Winter Park, FL waiting for you. Give us a call right now, or click on the Contact Us link and request additional information right from your computer! Copyright © 2019. Winter Park Village Apts, Llc. All rights reserved.